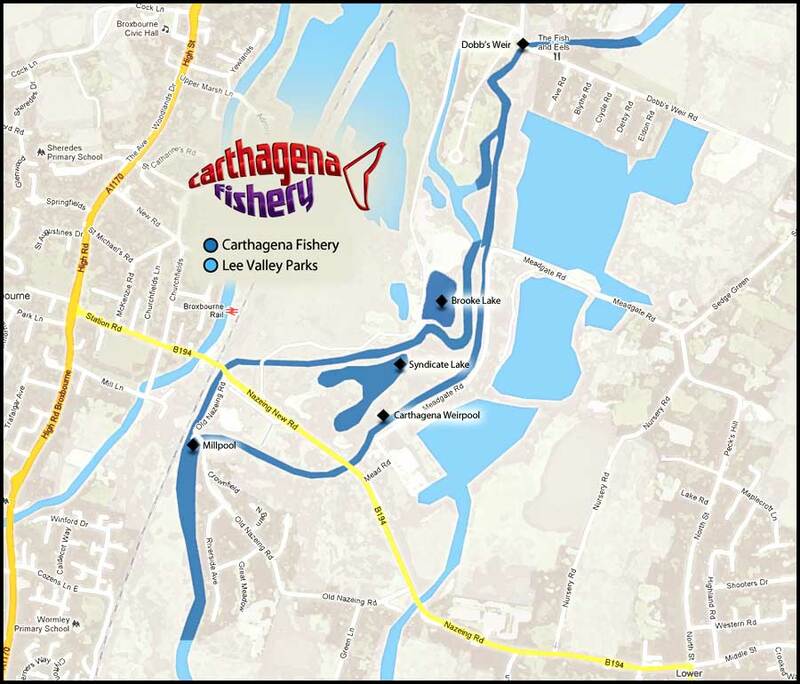 The Carthagena Fishery Syndicate Lake If proper English carp fishing is your thing, then this syndicate is for you! The Syndicate Lake is a mature, 7 acre gravel pit dug in the mid 1940's. The average depth is 6 to 7 feet with deeper channels and holes up to 11 feet in depth. The lake was stocked with king carp in the mid 1970's, over 800 fingerlings were stocked, natural predation has reduced this number over the years so that we now have a stock of around 100 plus carp which are undoubtably some of the nicest looking carp in the country. Before we arrived five years ago, the lake was run by a small local angling club and the carp were not predominantly fished for. 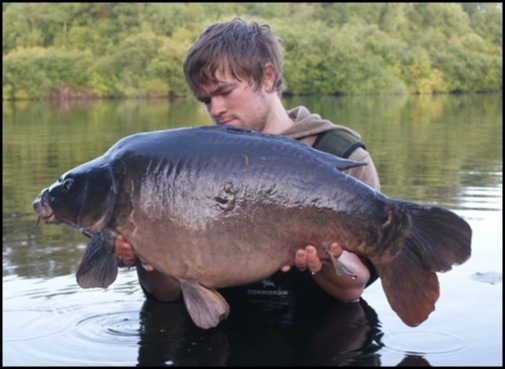 Since we formed the syndicate we have witnessed a massive increase in the average weights, with the fish continuing to get bigger and bigger year on year. Five years on we are still catching fish unknown to us and the syndicate members. 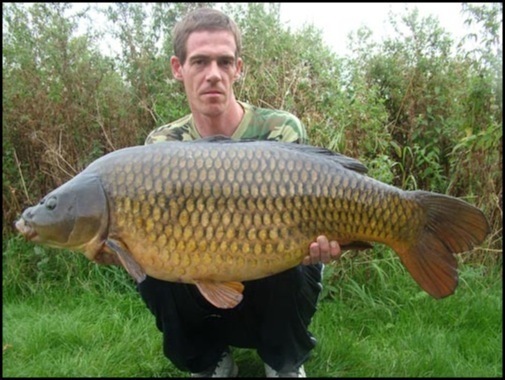 The most recent fish records show over thirty five 30lb plus fish and three commons around the magical 40lb mark. Another one or two mirrors are well on their way to hitting this weight soon. Carthagena Syndicate Lake has a maximum of fifty members. The syndicate year runs from 1st May to the 14th March, so we still enforce a six week close season for both the fish and the bankside. 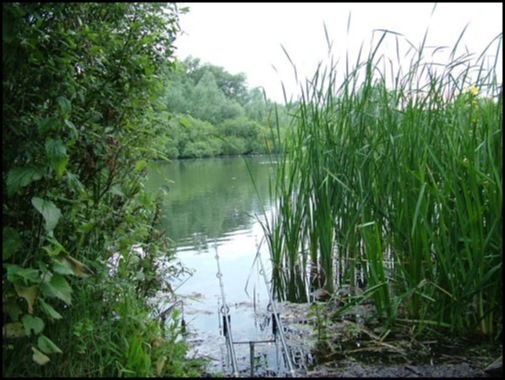 The syndicate tries to create a friendly & sociable atmosphere and all the members get on very well, with plenty of barbecues and events centred around the clubhouse and also syndicate trips to other waters. On-site facilites include a members clubhouse with pool table & Sky TV, fridge and freezer. The three on-site portaloo's are cleaned daily and all the members respect this. Fresh water is available and we have an on-site shop which has hot and cold snacks and basic supplies. Breakfast sandwiches can be ordered the night before and delivered to your swim in the morning. 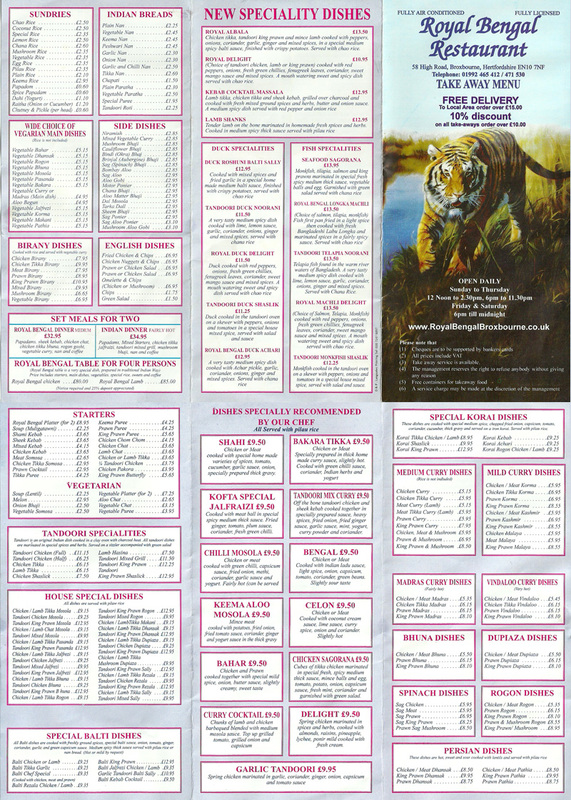 Local take-aways deliver to the fishery (chinese, indian and pizza). 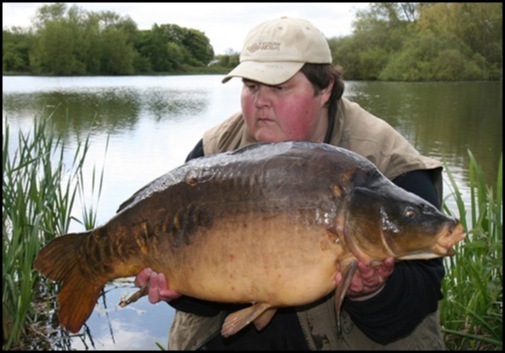 On site bailiffs which include the infamous mick 'the diver' who you will get to know in no time, but all are helpful and experienced anglers. The fishery is very secure and cars can be parked behind two locked gates well away from public view. There is no public right of way around the syndicate so you can be confident that your tackle and equipment is as safe as it can be. Literally minutes away from three local tackle shops, Simpon's of Turnford, Johnson Ross and Epping Tackle.